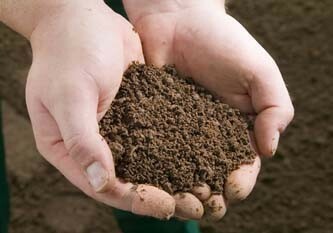 There are different grades of Top Soil upon which you will want to grow your lovely lawn. Turf also comes in different standards. Soft Landscaping materials also include bark and mulch, which come in small bags or lorry loads. 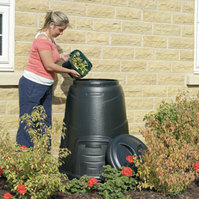 There are also some very good Green Products along with compost and water savers. Turf is usually delivered in square metres. The store below will show you how to measure the area you need to turf. 50m2 (fifty rolls), for example, will cost £120. Top Soil will be delivered by lorry in one tonne multiples. Loose bags or by arm, so you will need to specify how accessible the area is where you would like the soil delivered - around £50 for a tonne of good quality soil. Decorative Bark can make for an aromatic weed suppressant. The main high street stores invariably have deals for small quantity bags. Environmentally friendly products are not just for government sound-bites. Just as rain water harvesting and water buts save you money, a 220 litre capacity Blackwall Compost Converter for less than £30 will enrich a garden.